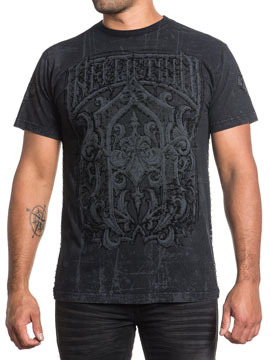 Affliction Algorithm mens short sleeve crew neck super fit t-shirt features the Affliction logo with a fleur-de-lis in the center surrounded by ornamental filigree that resembled decorative iron in the center. The back features a small fleur emblem printed under the collar. 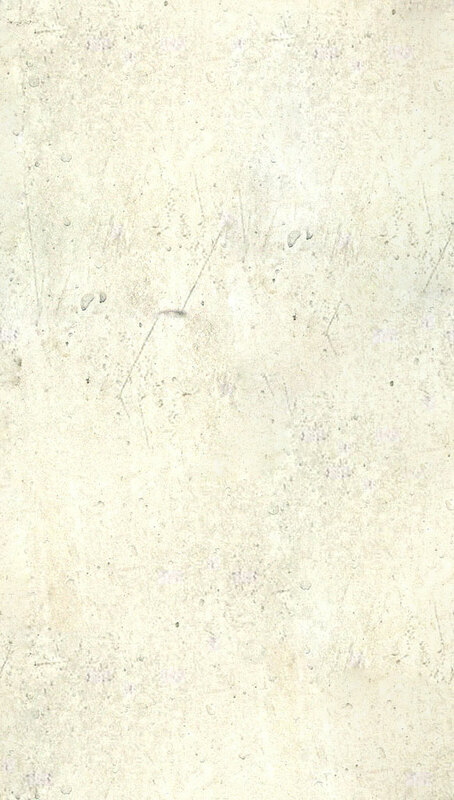 Medieval script written in small print all over the background which adds an edgy look. The super t-shirt features a standard fit, so we suggest you go one size smaller for a slim fit. Lava wash for vintage look. 100% Cotton, standard fit. Garment dyed with silicon wash for soft feel. Color: black.